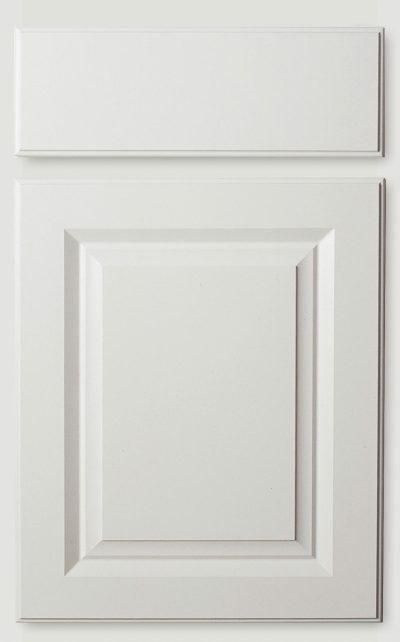 Door features a five piece raised panel appearance. One piece thermofoil drawer front. Both door and drawer front are designed with a back beveled profile to eliminate the need for decorative hardware; however, it is recommended for additional finish longevity. UPDATE: Thermofoil cabinetry now receives light maple laminate cabinet box interiors; exterior of end panels remains white laminate.